There's no two ways about it: Europe is one of the most expensive regions of the world to travel in. London, Venice, Paris, Stockholm… the major cities in Europe — i.e. the ones most people want to visit — are some of the priciest in the world. From food to accommodation to transport, these places will eat through your travel savings in no time. So does that mean that you shouldn't turn to Europe if you're looking for an affordable vacation? Well, not exactly. It's true that Western Europe and Scandinavia can be fatal to your travel budget. But if you go a little further east or south, there are plenty of destinations that are still very “European” but that boast much more reasonable price tags. The problem with these destinations, though, is that many people simply don't consider them. Capitals like Budapest, Prague, Tallinn, and Sarajevo are incredibly affordable (and interesting to boot). But those are all destinations you've heard of, and perhaps have even considered visiting yourself. What about the destinations that haven't crossed your mind yet? Romania is actually one of my favorite countries in Europe. Its tourism infrastructure is much better than you'd probably expect, and there's so much to see and do. Whether it's wooden churches and rolling hills in the Maramures region, happy cemeteries in tiny villages, colorful medieval towns with tons of history, or fortresses and castles in the mountains, Romania has it all. This country is MUCH more than its drab capital of Bucharest, and yet it's still incredibly affordable. Plain and simple, you haven't considered Romania because you still associate it (and all of Eastern Europe) with communism and the East Bloc. And, while it's true that vestiges of Romania's political past can still be seen, the country is changing, and changing fast. Montenegro, a tiny Balkan country on the Adriatic Sea, packs a lot of punch for its size. It's been called the most beautiful country in Europe by more than one person, and yet it remains relatively unknown to most tourists. It has small, gorgeous coastal towns recognized by UNESCO, plenty of pretty beaches, and mountains and gorges to rival any you've seen. The landscape is a lot like what you'll find in Croatia, but the prices are quite a bit lower. For most people alive today, the Yugoslav wars of the 1990s are still a relatively “fresh” event in history. People associate countries like Croatia and Serbia and Bosnia with these wars, and Montenegro also usually gets rolled in since it too was part of Yugoslavia (and connected with Serbia until 2006). But there are few signs of this conflict in Montenegro today — in fact, none of the major fighting ever happened within the country's borders. Of the three countries on this list, Slovenia is probably the priciest. It is a member of the European Union and therefore uses the Euro, making it slightly more expensive. However, this Central European nation wedged between Italy, Austria, Hungary, and Croatia is still extremely affordable, and offers you great value for money. Slovenia has some great small cities, the gorgeous scenery of the Julian Alps, fantastic transportation and infrastructure, and a wealth of outdoor activities to enjoy. In my opinion, Slovenia wins the award for “most beautiful” country in Europe. Slovenia doesn't have a particularly volatile past, which is probably why you haven't heard of it before. Situated unassumingly as it is between popular European destinations like Italy, Austria, and even Croatia, Slovenia is often overlooked by travelers. This, of course, is a huge mistake! Don't skip it just because you don't know much about it. For right now, these are my top picks for affordable destinations in Europe that offer good value (and a great travel experience) for what you pay. The caveat is that they won't remain this way for long. People WILL discover Slovenia. Romania and Montenegro WILL soon be on the Euro. Prices WILL go up. Crowds WILL come. Unfortunately, it's just how tourism progresses in destinations that are up-and-coming. So my advice is to go to these places, and go NOW before everyone else discovers them. Are these destinations on YOUR travel radar? Absolutely on my radar! I can’t wait to sink my teeth into Eastern Europe. It looks so storybook pretty and much more affordable than Western Europe. Question – how what the internet in this countries? Eastern Europe is usually overlooked by most travelers – their loss, because it’s actually pretty awesome!! As for Internet, I really didn’t have any trouble finding it in any of these countries. There wasn’t any in a few of the tiny villages I stayed in in Romania, but the majority of hotels, guest houses, and hostels I stayed in offered wifi for free, and it was usually good enough to upload photos to Facebook each day. Hey, I’m in Sighisoara right now! It is really pretty and so far Romania has been great and surprisingly cheap. I did use your previous posts about it for inspiration, so thanks! Great to hear, Rachel! I hope you continue to enjoy Romania! I have been to Montenegro…highly recommended! Loved everything about it! Great choices, Amanda! Montenegro is one of my favourites in Europe – stayed much longer than anticipated! Totally underrated destination, in my opinion. I could even envision myself retiring there! Great list. I’d also recommend Bulgaria. Sofia and Plovdiv are both beautiful. Bulgaria came *thisclose* to making the list. If I had done 4 or 5 countries instead of 3, it would have been included. Bulgaria surprised me with how beautiful it was, and how nice its people were. Though admittedly it is a bit trickier to travel there as an English-speaker who can’t read Cyrillic! Great choices! Romania and Slovenia are probably my two favourite countries in Europe. I think my third choice would be Bosnia. I’m with you on needing to spend more time in Montenegro! I haven’t spent a ton of time there myself, either, but it definitely made an impression on me! Kicking myself for not getting to Slovenia or Montenegro when I was in Croatia last summer–have heard nothing but wonderful things about both! Next time, for sure! Slovenia is a MUST! Montenegro is definitely on my list. The photos I’ve seen are absolutely stunning! Thanks for opening my eyes to Romania and Slovenia. You are very welcome! All three of the countries have some amazing scenery to enjoy! These are really great choices, I never thought of going there but your post has raised my curiosity. thanks for sharing. All three are on the list for my Eastern Europe adventure later this year, but I haven’t done much reading about them. This article was timed perfectly! Perfect! I hope you love this part of Europe as much as I did! Slovenia and Montenegro are already top priorities on my trip this summer! Thanks for the Romania recommendation! I hadn’t considered it too seriously, but recently I’ve been hearing so many positive things about it, I might need to add it to the list! I would definitely consider adding Romania if it’s feasible – the good things you’ve heard about it are all true! I really like this post. While I haven’t visited Romania or Montenegro myself, I wouldn’t necessarily agree that Slovenia is a super cheap country. When I visited in 2009, I found it to be more expensive than neighbouring Hungary (possibly because it had just that year changed to the Euro). Perhaps it’s stabalised a little now. I did find it to be roughly equivalent to, say Austria, in terms of prices, where I would say things are fairly priced (often good value), but not cheap. But yes, a lot of people haven’t heard of it! I once hosted a Slovenian couchsurfer when I lived in Spain who was telling me that he has to explain to everyone he stays with that, no, he’s not from Slovakia! I’ll agree that Slovenia definitely isn’t super cheap. Part of that is because it’s now on the Euro. But I still thought it was pretty affordable, and that the quality you got for what you paid was great, whether it was for accommodation or activities. Great pictures and Info! I think I will hit up Romania sometime this year. It looks so amazing! You definitely should if you have the chance! Ljublijana is on my itinerary for my Balkans trip in September. As are Mostar and Sarajevo. In fact I have heard good reports about the whole of the former Yugoslavia. In fact there are many countries in Eastern Europe that are worth exploring. Yup, I’ve heard all good things about most of the Balkan nations. I need to explore more of them myself! 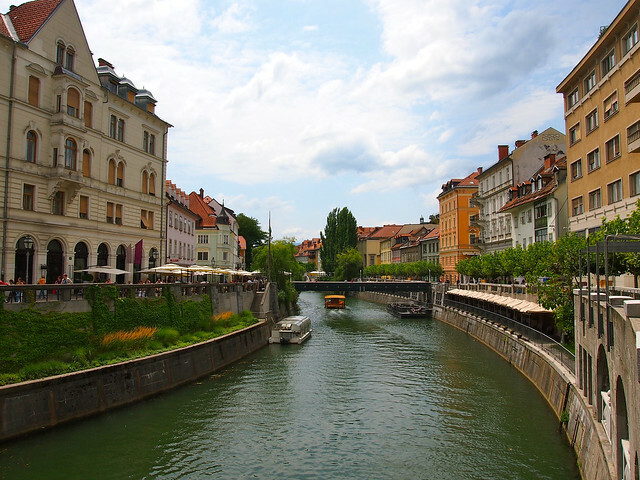 Have a great time in Ljubljana – it’s one of my favorite cities ever, I think! These are definitely on my radar now, particularly Montenegro – I’m desperate to get there. Mind you, your photos of Romania are insanely beautiful! And I’m going to need a cheap destination after I visit Copenhagen in the summer – reckon I’m likely to be on the verge of financial ruin after that one! Although I love Western Europe with all my heart, I absolutely agree with you: Eastern Europe holds many stunning and very budget-friendly destinations. I briefly visited Romania and Slovenia, and both countries overwhelmed me right away! Especially Slovenia is so incredibly beautiful that I can’t wait to return! I don’t think I’ve talked to anyone who’s traveled in Eastern Europe who hasn’t been surprised by it and fallen in love. Ditto on being excited to go back to Slovenia! Would love, love, love to visit all of these countries! Need to move it up the list and fast. Definitely! Romania and Slovenia were 2 of the countries I was most looking forward to last summer, and neither of them disappointed! Those both sound like great trips! Visited all three about 6 years ago and they were amazing! Loved every minute and would go back to Slovenia in a heartbeat as I only had 4 days there and it wasn’t enough to see all the beauty. Ah, you really should go back someday! Plus, I imagine all 3 have changed a bit in the last 6 years. Bulgaria and Latvia are amazing too! Haven’t been to Latvia, but I agree that Bulgaria is also great! I have used my last few spring breaks to visit both Romania and Montenegro. I was surprised how much I liked Romania (because, let’s face it, I only went to see the land of my childhood dream coach, Bela Karolyi). In one week, I spent just 250 euros on food, gas and transportation and all of the sites, and completely fell in love with Maramures. I was in Montenegro just one month ago, and even though it was off-season and rainy, we spent far more than we expected, even with a homestay and great deal on a rental car. Romania is by far the cheapest of these 3 countries, as I’m sure you’ll agree! Glad to hear you enjoyed both though. Isn’t Maramures amazing?? Any way you can give prices for rooms, food, transport, etc in these countries? What exactly does ‘Affordable’ mean? Concrete prices would really help a lot in understanding how much it would cost to visit these places. :)) Thanks! Unfortunately I didn’t keep great track of all the expenses when I was there, and I wouldn’t want to quote you incorrect prices. It also largely depends on what cities/towns you’re visiting. Of the 3, though, Romania is definitely the cheapest! To be fair, most of those famous spots are worthy of all the flocking. But there’s definitely MUCH more to see in Europe than just the “usual” places. Thx for the great article!! Sounds like it’s definitely time for you to check out more of Europe! Also about comunism…it’s gone since december 1989, but unfortunatly we have some problemes in politics because the ones that run the country don’t always represent us the way they’re suposed to. But this subject could develop a really long conversation, so i’ll stop right here. If any of you have questions about Romania, i’m very happy to answer you. I wiss to you all the best travel experiences! I only wrote about the Romania I experienced – a really great country that I enjoyed traveling in. I hope others discover it, too! As a recent graduate, eastern Europe is defiantly on my to do list (after I finish up SEAsia and maybe South America). I hope you enjoy it when you eventually get there! Thanks for the kind words! Thanks because you promote my country better than romanians do! 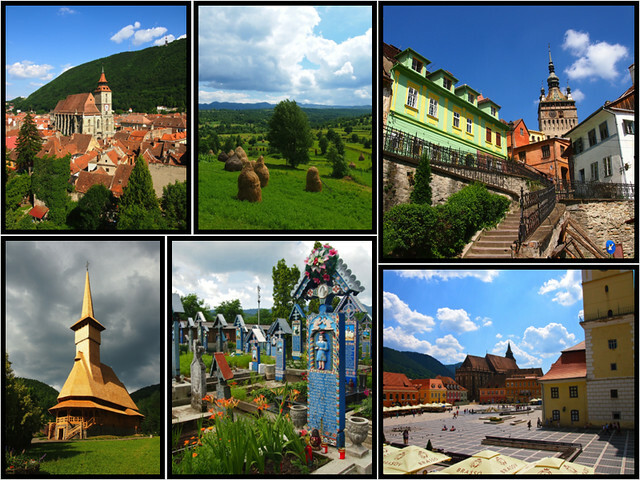 Maramures it’s amazing, Brasov, Sighisoara also. I am hungarian but I live in Romania and each time I go there I fall in love ….you should also check the Danube Delta , Cluj-Napoca and Sibiu.Go on my fb page if you want and look at the pictures. (rosalia onica (szekely) is my fb page) or check them on-line. You made me proud suddenly .. I hear people promoting their own country in Europe…rarely I see somebody like you.kisses from North Romania, Rose. Aww thanks for the kind words, Rose. I really enjoyed this! I’ll definitely keep these countries on my radar! It was nice not to read another post about how traveling in Europe isn’t actually that expensive…if you cook your own meals, skip the partying and couchsurf every night! Love your photos too! Are you living in Europe or just traveling around? Yup, there are definitely ways to take an affordable trip to Europe (so long as you can afford the pricey flights to and from!). I’m not currently living in Europe. I traveled around last summer, and will be back again for a few more months this summer/autumn! I am a great fan of travel in Eastern Europe. It really is the best value. I have skied in Slovenia’s Julian Alps and vacationed in Montenegro’s Sveti Stefan. Besides the price, another advantage was being able to find areas that were not overly commercialized but retained local culture. Please connect with us at http://www.SoloTrekker4U.com as to your future adventures off the beaten path. It really is a great value! Though, I wouldn’t completely skip the Slovenian Alps – Slovenia is amazing! I can vouch for Romania. I had a friend there so I visited and was really impressed with the country. Not only is the food simply amazing but everything about the country is beautiful – particularly the people!! You basically get the same experience as visiting Europe but everything seems to be a bargain. The food is delicious and you can treat yourself like a king for less than what you would get at your local Burger King back home. lol. I totally agree! I loved Romania so much, and always recommend it to people now for all those reasons you just listed!